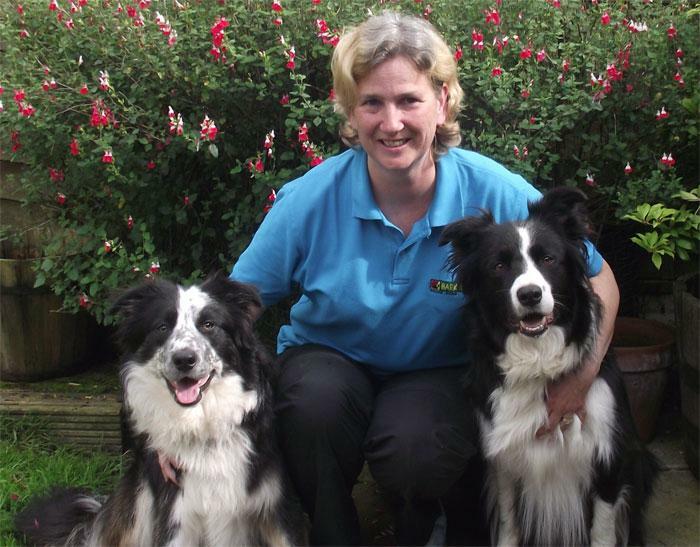 I'm Sharon, your local behaviour therapist for Bark Busters Home Dog Training North Wales, covering Prestatyn, Abergele, Rhyl, Colwyn Bay and Llandudno regions. North Wales is a fabulous area to work as a dog trainer. I feel privileged that I get to meet the lucky dogs and their owners who call this beautiful part of the country Home. During the 7 years that I have worked in this area, I’ve met lots of wonderful dogs and wonderful owners. I have helped them to resolve issues around behaviour and communication that were previously making their life together more challenging than it needed to be. Many people become frustrated by their dog’s behaviour when they don’t understand the reasons for it, and therefore don’t know how to resolve it. This is where I can help you. As my training is conducted on a one-to-one basis in your home, you can relax and be yourselves. You will behave more naturally, be less stressed, and learn more quickly. And it’s the same for your dog…he will behave more naturally, and learn more quickly as he's relaxed in his own environment. I find that, by listening to the owners as they explain to me the problems they are having whilst observing for myself the dog’s natural behaviour, we can soon build a picture of what is going on. Once we’ve done that, we can decide on a training plan that will help you to eliminate the unwanted behaviour. But it’s not just the dog who receives training from me. I will also be showing you, the owners, the importance of kind, consistent communication that will increase your dog’s confidence in you, and allow you to take back control. The non-physical, gentle and kind methods that I will teach you use the same communication systems that dogs understand instinctively; body language and voice tone. I deal with all kinds of problems from barking, pulling on the lead, jumping up, and mouthing to aggression, separation anxiety, sibling rivalry and much more. The training package is tailored to you and your dog’s needs, and enables you to take things at your own pace or at a pace that is best-suited to your dog’s personality and training issues. Our lessons will be informal, fun and full of practical guidance on how to bring the best out of your dog. Having two dogs myself, I understand that training and activities need to be tailored to the personality of your dog. My two border collies, "Rafa" and "Wizard" have completely different temperaments and learn in different ways and at different speeds. Rafa is a lovely dog, friendly to people and dogs alike. Before retiring, he used to compete with me in agility and has also enjoyed flyball. My proudest achievement with Rafa was that he qualified as a therapy dog and we made regular visits to a local school as part of the Read2dogs scheme. He was well-loved by both the children and the teachers. Wizard is my younger dog whose personality is completely different. His training is coming along well, and he is pretty successful in agility. However, he is more cautious about making friends and will need to assess you first. However, once he does get to know you, he will be your friend forever. Although Rafa has retired, I continue to enjoy my role as an assessor for ‘Therapy Dogs Nationwide’, helping to qualify more dogs as therapy dogs. The comfort and joy that these dogs bring, shows they play such a special part in the lives of those who aren’t fortunate to be able to look after a dog themselves. I am also a regular volunteer at Friends of Birkenhead Kennels, where I help to assess, socialise and rehabilitate dogs so that they can find new homes. I also often support these dogs in their new homes. I've completed the PDTI Level 3 Practical Instructing Course, and gained an “Applied Instructing Skills” award. An important element of dog training is to understand that dogs and people learn at different speeds and need different levels of support. That’s why my training is always tailored to you and your dog. 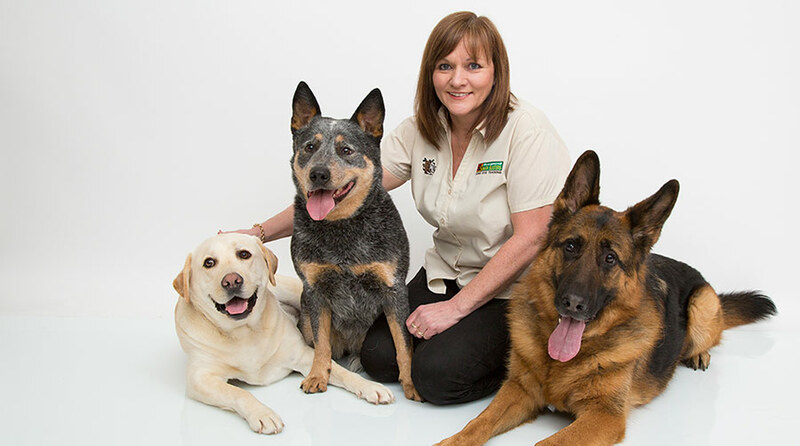 The Bark Busters Support Guarantee means I'm always on hand should you need further assistance and I will always leave you with written notes to back up what we have learnt, and provide you with lots of information to help you achieve your goal. Finally, you can also relax in the knowledge that my Bark Busters Support Guarantee means that I will return to support you, free of charge, for the duration of the term that you have purchased. Here you’ll find lots of useful advice and information for dog owners like you. I hope to meet you and your dog very soon.